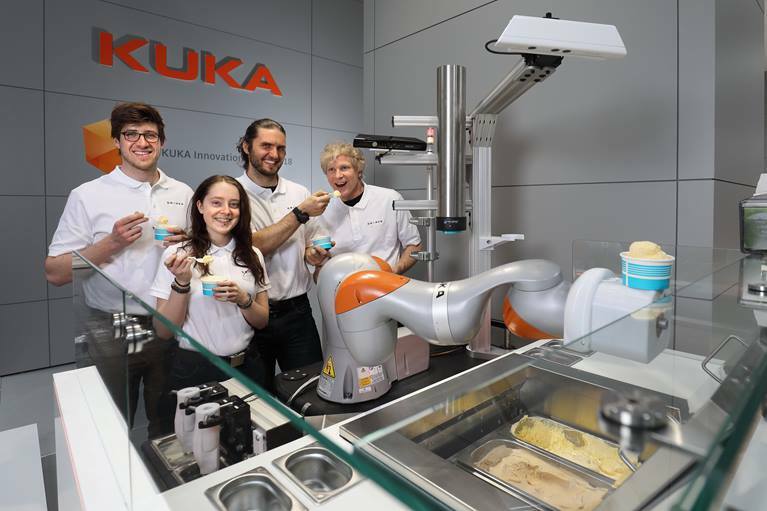 The Draper team at Hannover Messe with the ice-cream-scooping robot, Alfred. Fast forward a few years to Hanover, Germany, and the largest industrial trade-show in the world. Johnson is onstage, with Alfred the Robot scooping ice cream and serving it to crowds watching in amazement. International visitors flocked to Alfred, snapped their photos and marveled at the sleek machine. It’s a proud moment, and Johnson sounds every bit the robotics fan when he talks about Alfred. Despite Hollywood thrilling us with robots that can fly planes and leap tall buildings, the average robot, in reality, is very limited. Robots don’t do well in unstructured environments. 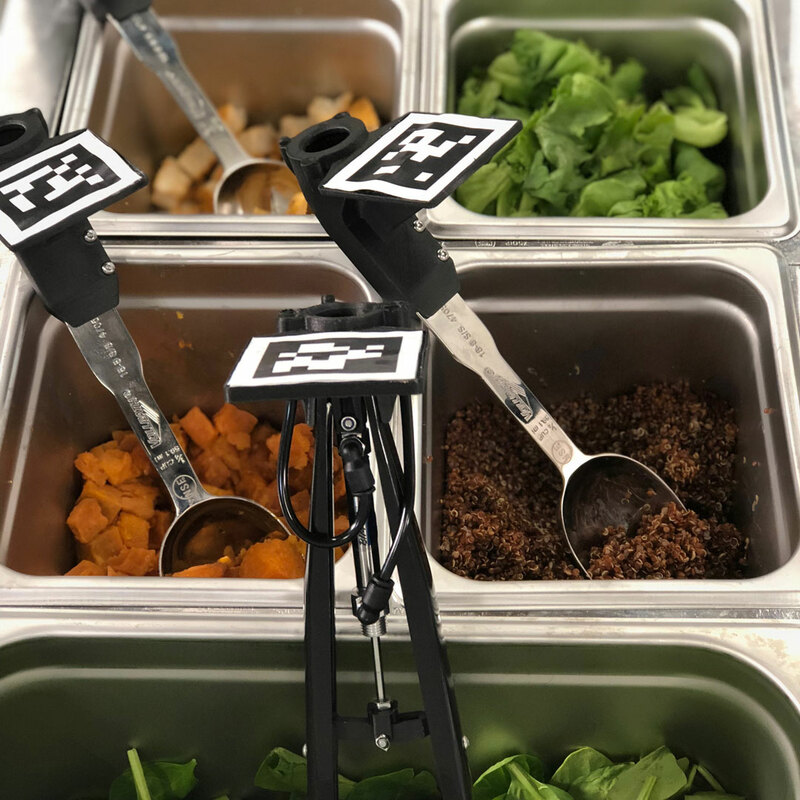 But does the world really need a food-making robot? Yes, says Johnson, and he points to the labor crisis restaurants currently face. Three out of four restaurants report being understaffed. Labor costs continue to rise, which translate to higher meal prices. Last year was a tipping point, when for the first time more Americans (54 percent) spent more on food prepared outside the home than in it. Alfred is the product of Draper’s internal research and development program. Only a handful of proposed efforts get the green light for internal funding each year. The program focuses engineers and scientists on the creation of bold new capabilities which, if they pay off, have the potential to change existing or spawn new applications. Most of the projects selected for the program are then matured for transition to customers and commercial partners. One or two of the capabilities, driven by personnel and market development and timing, are spun out. Alfred was one of those projects. 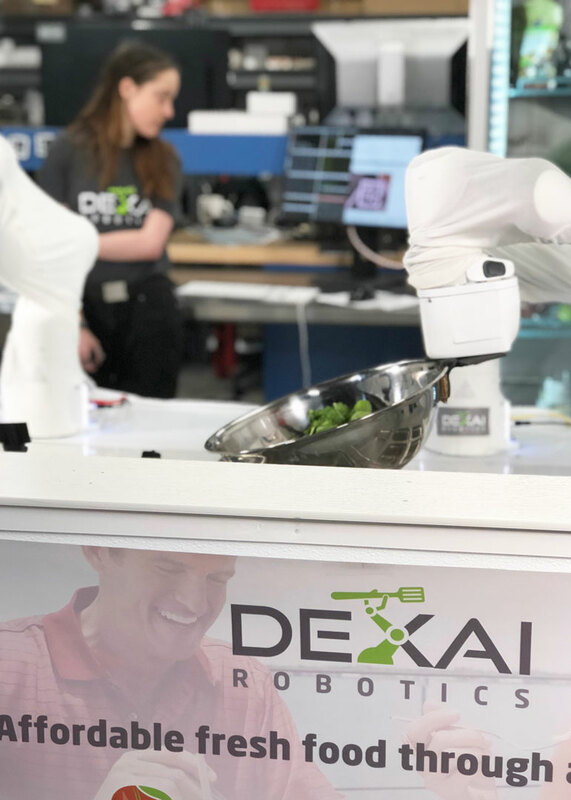 Draper spun-out the capability in the form of a new company named Dexai Robotics—shorthand for dexterous artificial intelligence—with Johnson at the helm. With Alfred as its first product, Dexai formally launched in 2019. “We developed a technique using a combination of artificial intelligence, computer vision and model predictive control to take existing robot arms and use them to manipulate deformable materials. With Alfred, we can scoop ice cream, make a salad and fill a burrito, and that’s something no other robot can do today,” he said. The journey from idea to prototype to new company can be long and winding, Dave acknowledges. “Spinning Dexai out from Draper is a great opportunity to go from a R&D innovator to a startup whose mission is to commercialize proven breakthrough capabilities.” Dexai’s next step is to hit the road, meet prospects and put Alfred to work. You want tomatoes with that salad?